It was our first visit to Prague and we were determined to do all the touristy things - Change of Guard of course being one. 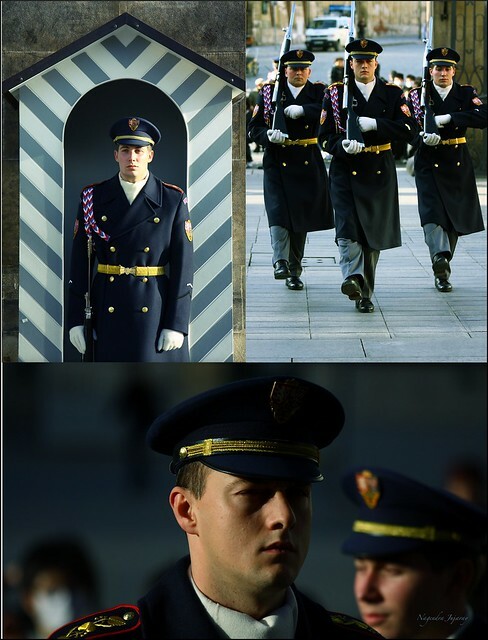 During these ceremonies, or even otherwise, I always look for some expressions on the guard's faces, but never get to see anything but a stoic face and focussed eyes. I was just wondering if they ever get to cough or sneeze while guarding the posts, and just then one of them did! Pity I couldn't capture it!